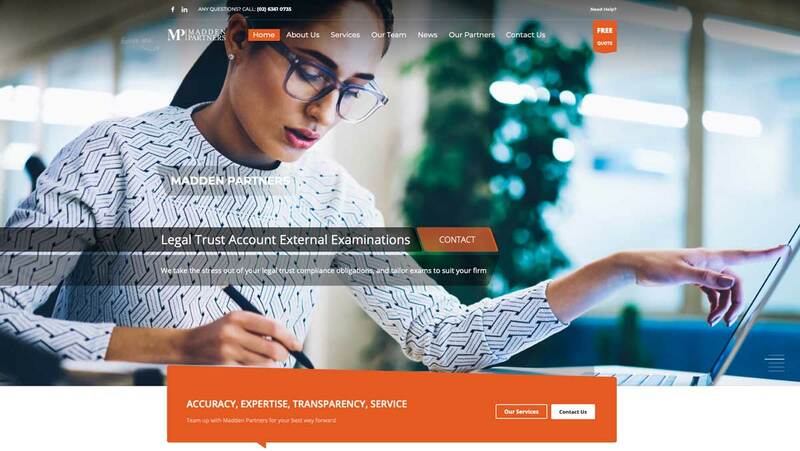 Madden Partners are widely respected specialist accountants in the Central West of NSW. They’re a widely experienced team of chartered accountants and auditors providing accounting, auditing and bookkeeping services to clients right across NSW and Queensland. Madden Partners is delighted with their monthly subscription plan with Social Web Works. This means that they didnt have to pay a large sum on delivery, plus they have all the website support they need. Madden Partners is situated in the thriving Central West of New South Wales. Get in touch with Social Web Works today and find out what a huge difference we can make to your online and marketing success.